Since finishing my freediving course in Apo Island, I'd been itching to get back. I didn't expect it here in Bohol, but it just happened. 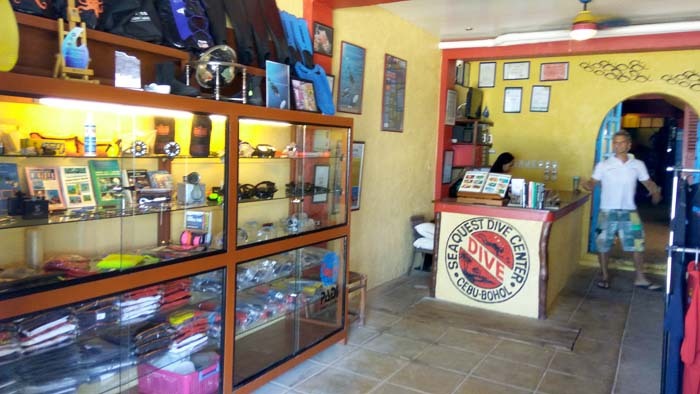 I couldn't ask for more - great instructor, Ben Meerhaeghe and great dive center with their course facilities, SeaQuest Dive Center. Ben is an animated guy with many adventures to talk about - restauranteur for a Mexican resto, English teacher in Japan, Aikido martial artist, skier, snow boarder, Vipassana meditator, etc. He lives the life! Currently, he runs SeaQuest and overlooks scuba diving and freediving - things that get you wet. Not just management, but he is also an instructor for both disciplines. He would be my teacher for freediving. A small boat took us to the deep end of SeaQuest's beach front. A bouy was tied to the boat by a 5m line and a weighted line was tied to the bouy, going down 10m for our warm-up. The current was strong and the weighted end of the rope was nowhere near the bottom - I couldn't even see the bottom. Jamel, a veteran dive instructor at SeaQuest, joined us. He has long wanted to learn freediving and now has time to pursue it. We pulled ourselves down the rope and stayed as long as we could at the 10m depth before slowly pulling ourselves up. Ben showed us how to do it first and guided us along the way. He also taught us how to forcefully exhale the air out upon reaching the surface. We did this a few times before the line was lowered down to 15m. We did exactly the same thing - pulled our bodies down and stayed at the 15m depth as long as we could before heading up. Lastly, the exercise was to remove the mask at 15m, hand it to Ben and climb our way up with no mask. Sometimes, masks get removed accidentally or a mask might get flooded with water. This exercise acclimatizes the body to that sensation so panic doesn't happen. With my scuba diver training of removing the mask underwater gave me confidence in doing the exercise right. I was surprised at the ease of doing it. I expected to struggle, but everything seems under control for me. Finally, Ben lowered the line down to 18m. My record in Apo Island is 16.6m - at that level, I could no longer equalize and had to come up. Now, 18m? I was a little apprehensive. To my surprise, although challenging, I did not struggle. I methodically pulled myself down with no equalization difficulty and even managed to stay at the bottom for a few more seconds before heading up. I still had juice left when I surfaced. I really surprised myself this time. Ben assured me that I could easily reach the 20m mark, but there was no rush - some other time. For now, the 18m would suffice. I was happy to have a new record depth - 18m! 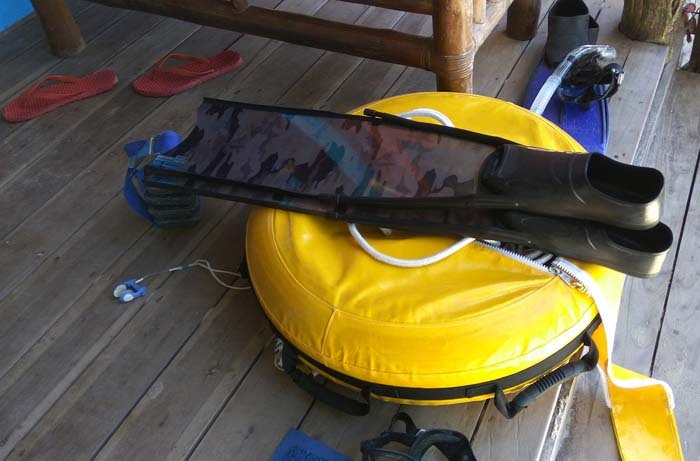 This time, we did the dive without being connected to the boat - although the boatman had strict instructions to keep an eye on us...otherwise the strong current might drift us all the way to Siquijor! The bouy was free-floating with the current. The line went down 15m this time. It was just Ben and me. We did the 10m warm-up, then the 15m and finally the 17m. This time, instead of pulling down the rope, we did a duck dive and finned our way down, visually guided by the line. Upon reaching the bottom, I sommersaulted forward and started finning myself up, again, guided by the rope without touching it. It was more challenging but still do-able. The strong current was dragging the bouy closer to land where we got too close to the wall. When Ben took his 3min hang, I struggled to fin against the current so the bouy doesn't hit the wall. It exhausted me. I was afraid if Ben had to be rescued down, I would no longer have enough air or strength to go down 17m. Thankfully, nothing like that happened and all went well. To my astonishment, I was able to do all the exercises without really struggling. I broke my own 16.6m record by going 18m with still some juice left in me. I was able to normally equalize at that level - something I couldn't do in Apo Island. Ben has a good instinct for restrain when he didn't rush to do the 20m with me. As an instructor, he teaches the technical details but he also inspires confidence. He knows how to bring out the best in you with his subtle persuasion. In Apo Island, I saw every dive as a face-to-face with death, pushing it until you think you'll die but you tell death, "not today, my friend". This time though in Bohol, it was not that macabre. It was more full body mindfulness while going down and staying down. I was more aware of how my body was reacting or non-reacting. I was more concentrated on perfecting my game. The spectre of death was nowhere - that's a good thing. Altogether, the whole experience has given me confidence to push my limits further. Freediving is liberating! 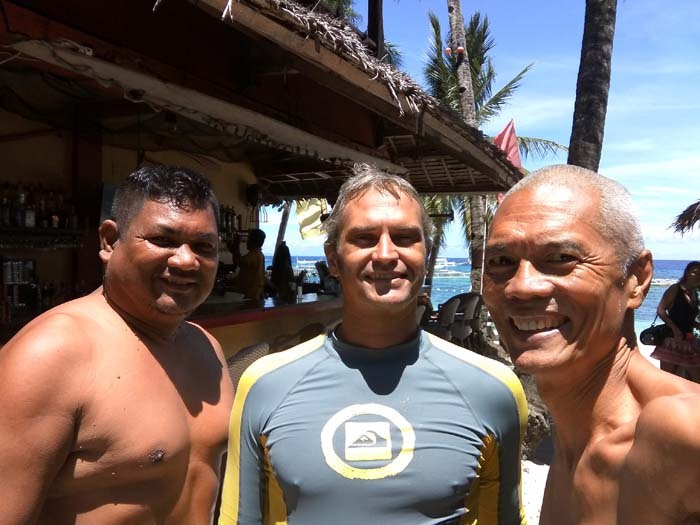 I am privileged, honored and humbled to have 2 great freediving teachers - Jean-Jacques Gautier of Plongeurs du Monde and Ben Meerhaeghe of SeaQuest Dive Center. With everything I learned from them, I get this surging confidence that Marianas Trench is not deep enough. Thank you JJ, thank you Ben.